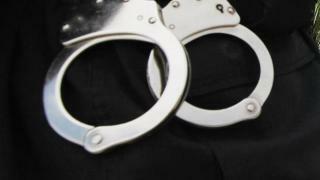 Police arrested a woman who allegedly struck her children while intoxicated at a BART station Saturday afternoon in Oakland. At 1:08 p.m., a BART patron at the MacArthur station reported to the station agent that a woman who appeared to be intoxicated was abusing her two small children, a 9-year-old girl and a 22-month-old toddler, police said. The patron reported that the woman backhanded the 9-year-old girl and pushed the toddler, police said. Officers arrived and arrested the woman on the platform. She was identified as 28-year-old Cherrelle McMillion of Oakland, police said. According to police, McMillion allegedly punched and slapped the 9-year-old child, causing redness to her head and neck. Medical crews were called to the scene to examine both children. Family members were also contacted and they responded to the scene to take custody of the children, police said. Child Protective Services was also notified and are conducting an investigation. McMillion was arrested and booked into the Santa Rita Jail on suspicion of public intoxication and corporate injury to a child, police said.